Steve Crowther: Can you tell us something of your background? Nicola LeFanu: I was born in Essex, but I am not a typical ‘Essex girl’ because my parents were both Irish. My father was a librarian (there are a lot of literary LeFanus) and my mother was the composer Elizabeth Maconchy. SC: Can you describe String Quartet no4. to us? SC: Do you write at the piano, do you pre-plan? Can you describe the compositional process? NL: I write at the piano and/or my desk; then I go to the computer and there is a revising and editing stage as I put the piece into Finale. Yes, I do pre-plan, though with luck the music takes over and shapes the plan anew. SC: Is it important to know the performers? Do you write with a sound in mind? NL: I always prefer to know who will be performing and write for them – character and sound; and also where – the audience and the acoustic for the premiere concert make a difference; though it is always the hope (and usually the case!) that the new work will be performed many times and in many places. I have known the Bingham string quartet since the nineteen eighties, when they recorded four of the Maconchy quartets for CD. SC: How would you describe your individual ‘sound world’? SC: What motivates you to compose? NL: I always want to… it is what I like doing best, even though it can be maddening, elusive..and always hard work. But always worth it. SC: Which living composers do you identify with or simply admire? 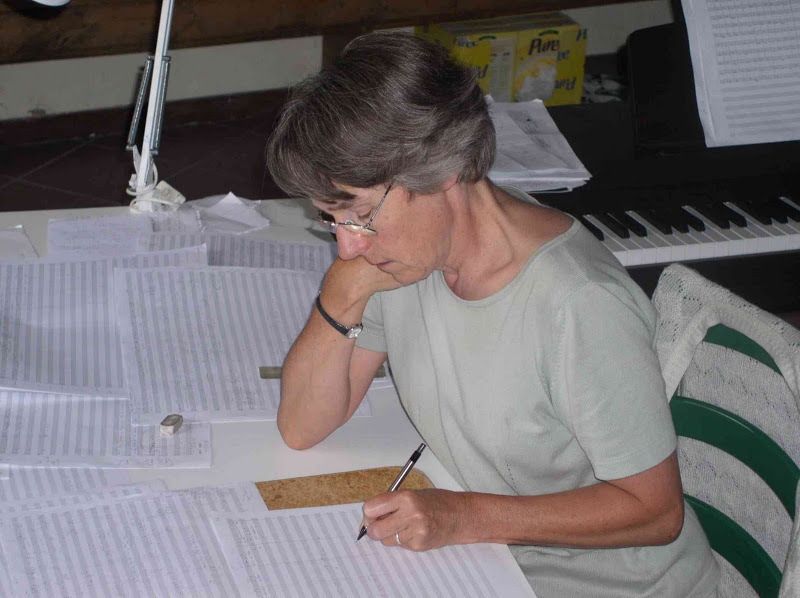 NL: I probably have most in common with the New Zealand composer Gillian Whitehead; not least, we share an addiction to composing opera. But as to British living composers, I still admire Birtwistle very much and there are a number of younger composers whose music I like, and try and keep up with. SC: If you could have a beer and a chat with any composer from the past, who would it be and why? NL: Holst, because my father said talking to Holst made you feel more alive. SC: Now for some desert island discery – please name eight pieces of music you could not be without, and then select just one. NL: Living composers is too difficult to choose, though that’s what I listen to most..
Bach – Goldberg Variations; Mozart – The Marriage of Figaro; Beethoven - Csharp minor string quartet op131; Schubert – Quintet in C for strings; Schumann - Dichterliebe (or Liederkreis! ); Janacek – Katya Kabanova; Stravinsky – Petrushka; Maconchy – The Land , suite for orchestra. Stravinsky – Petrushka is the one. NL: a Buster Keaton - could be ‘The General’ but I do love ‘Neighbours’. SC: … and a luxury item?